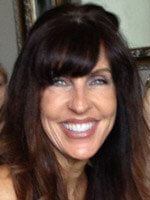 Linda has been in the dental field for over 20 years and with Windermere Dentistry since its inception in 2002. Linda manages the business aspects of our practice. She is available to answer any questions you might have regarding insurance, dental treatment, and/or financial information. For Linda, it’s exciting to work for dentists that care about staying in touch with the latest technology. She feels very fortunate to work at a practice that provides patients a level of dentistry that is head and shoulders above the rest. In her free time, Linda enjoys traveling, reading, working out and spending time with her family and friends. 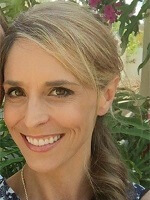 Angela has been with Windermere Dentistry since 2006 and in the general dental field for 9 years overall. She was a certified dental assistant prior to pursuing her Associate’s in Dental Hygiene at Valencia College. Angela plays an essential role in the dental health of our patients. She educates our patients on the latest technology that will help in maintaining oral health. She prides herself on building great rapport with patients, easing their fears and anxiety. Angela feels blessed to work at a dental office that provides optimum care to all their patients. She is married with two children and enjoys spending time with family and friends outside of the office. Niki graduated from the Valencia Community College Dental Hygiene Program in 2004 and has been practicing in the Orlando area ever since. She has been with Windermere Dentistry since 2015 and is excited to be a part of our team. Niki prides herself in a gentle and thorough cleaning and enjoys getting to know her patients. She strongly believes that oral hygiene is a major part of your overall health and prefers educating her patients rather than lecturing them. Niki is married with a daughter and two stepdaughters. In her spare time, she enjoys spending time with her family and being outdoors. 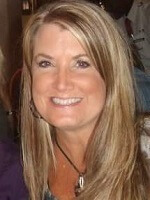 Rosemary has been with our practice since 2010 as a dental assistant. She is multi-talented and is very dedicated to her patients and her job. 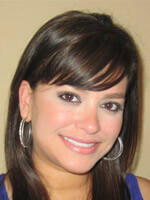 She truly loves providing great dental care to the patients in our practice. What she loves most about her job is assisting the doctors with smile makeovers and seeing the life-changing effects it has on them! Rosemary is married with three children and loves spending her free time with her family. Sonja joined our team this summer and has over 20 years of experience as a dental assistant. She strives to build relationships with her patients and finds their trust very important and rewarding. Going to work every day is another opportunity to ensure her patients feel comfortable and leave happy. Sonja is married and enjoys the outdoors, boating, and scuba diving.